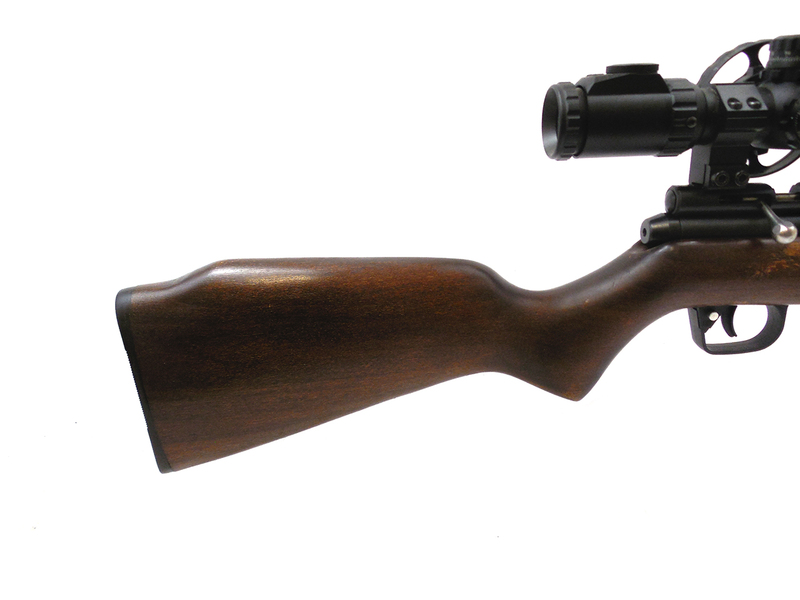 The Benjamin Discovery is a PCP ( pre-charged pneumatic ) or HPA (High pressure Air) air rifle. 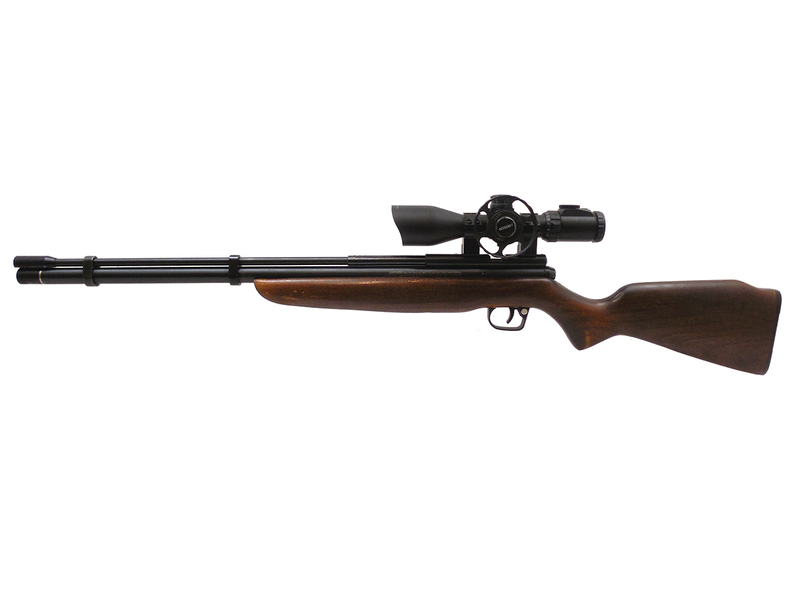 These guns use high pressure air ( 2000 psi) to send a pellet flying downrange at up to 1000 (.177 cal alloy pellets) fps. 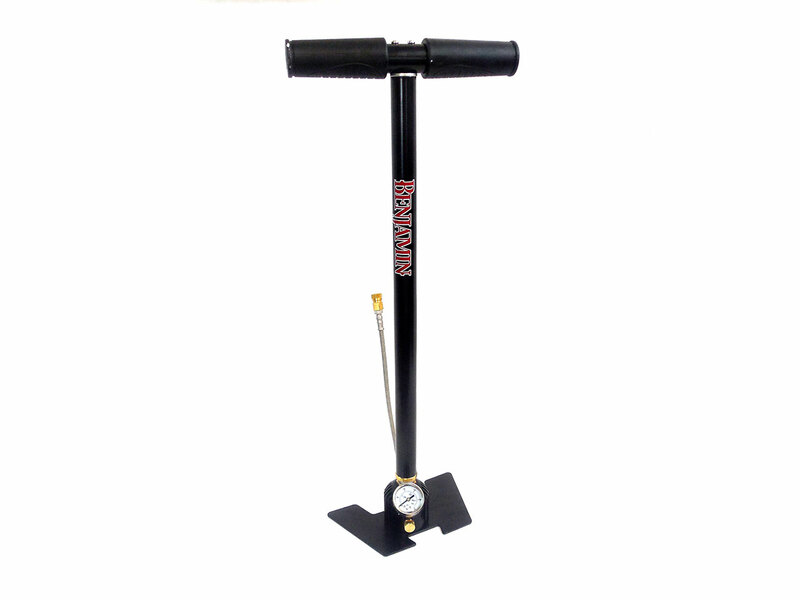 They can be charged with a hand pump, an air tank, or scuba tank, and are capable of using C02 from a paintball tank. 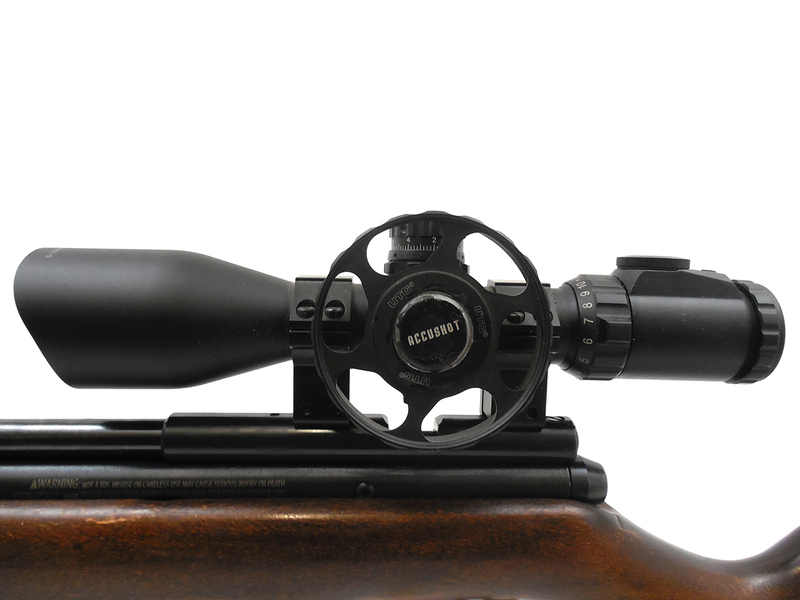 The (used) scope pictured is optional. 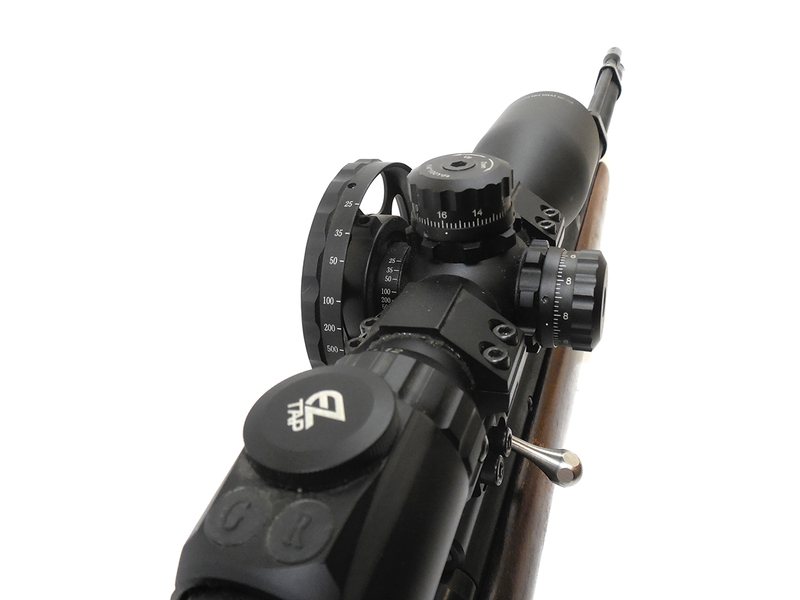 It’s a UTG 3-12×44 Mini Swat MIL-dot scope with EZ Tap (see options). 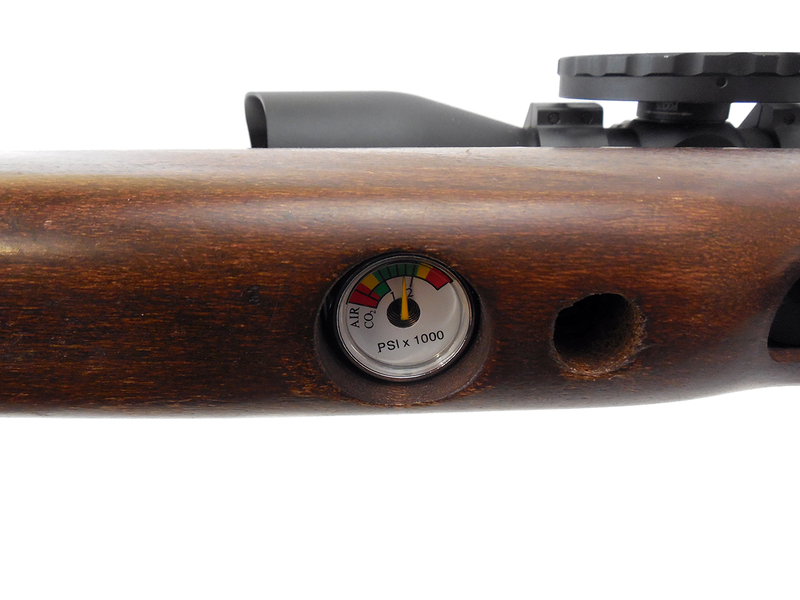 Front and rear sights have been removed. You will typically get 25-40 shots per fill with no loss in velocity (more with C02). Most people fill them with the hand pump. Pumping is easy and cheap. No C02 cartridges to buy or paintball tanks to fill. We think the Benjamin Discovery is the best thing that has come down the pike in a long time. 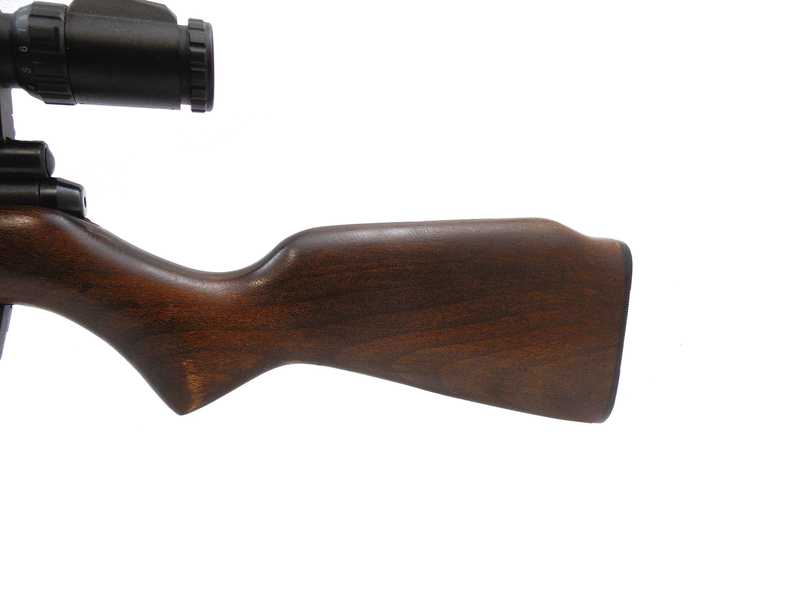 When HPA, high pressure airguns were first developed, many competition shooters switched to this style air rifle, but they were expensive. 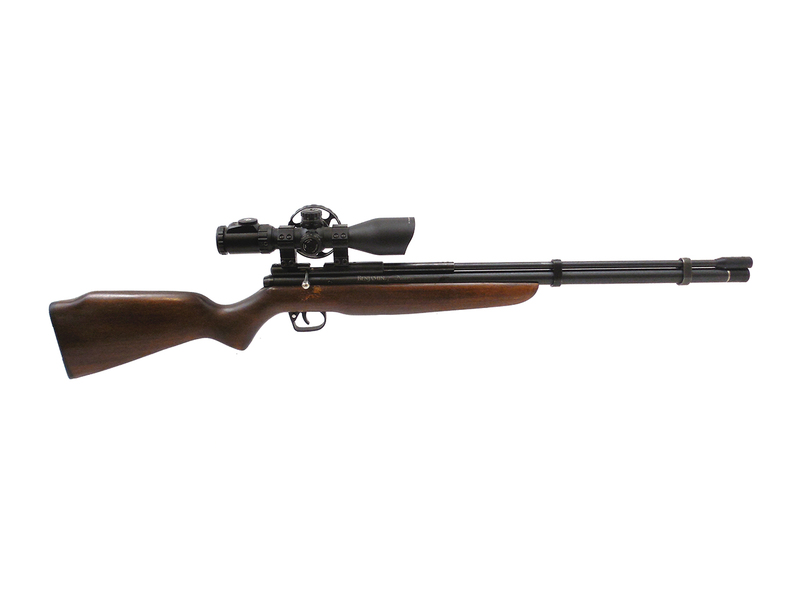 Now Crosman has come out with the Benjamin Discovery and has brought High Pressure Air (HPA) and Pre-charged Pneumatics (PCP) to a price level where many more shooters can experience these exciting air rifles. It was cleaned, lubed, and resealed in our shop. Velocity tested at around 965 fps using LEAD pellets.